Last year, Nike shut down the internet with the launch of its Nigerian kit. The campaign around it and the homage to Nigeria’s 1994 World Cup debut kit went a good way towards enhancing its allure. 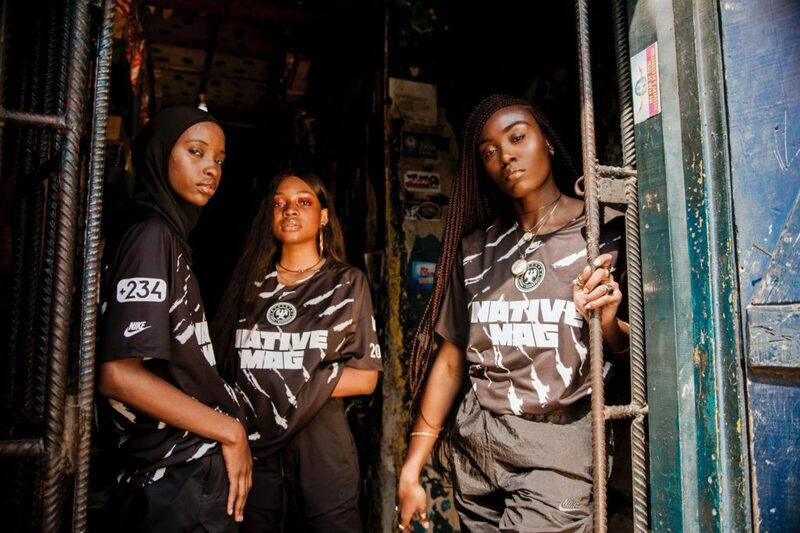 With that context, The NATIVE and Nike have come together to release a limited-edition football jerseys heavily influenced by Nigerian contemporary culture. 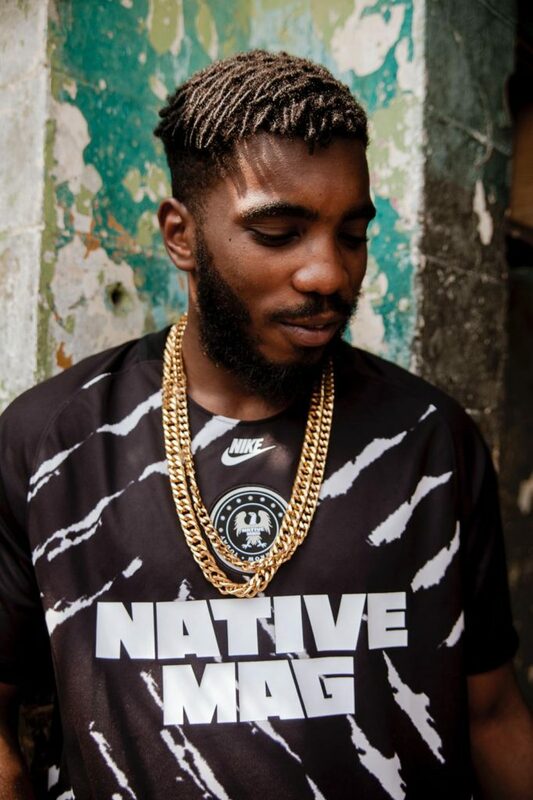 The NATIVE x Nike exclusive football jersey embodies the soul of the football culture in Nigeria, acknowledging both the streets of Lagos where the sport prevails and the national football team in the design, with the area code (+234) printed on one arm, and The NATIVE logo on the other. The white lines on the jersey represent tire marks referencing the streets of lagos, the eagle crest references the Nigerian national football team the Super Eagles and ‘ILÉ’, the Yoruba word for ‘home’ that appears on the back of the jersey is designed to unite the local and diaspora Nigerian community. The pre-release of the jersey’s last December in Lagos, before the global release in January 25th 2019 further highlights the cultural importance of football for Nigerians. Co-founders of The NATIVE, Seni Saraki and TeeZee are both passionate about the sport and the relevance of ball to life. TeeZee is one of the faces behind the Lagos semi-pro Thursday Night Football league, while Saraki has a football academy in his home state of Kwara. Speaking on the collab, Saraki said “We wanted to create something that wouldn’t look out of place on the field and in the club. In Nigeria, the football shirt has always been a vital piece in anyone’s wardrobe. 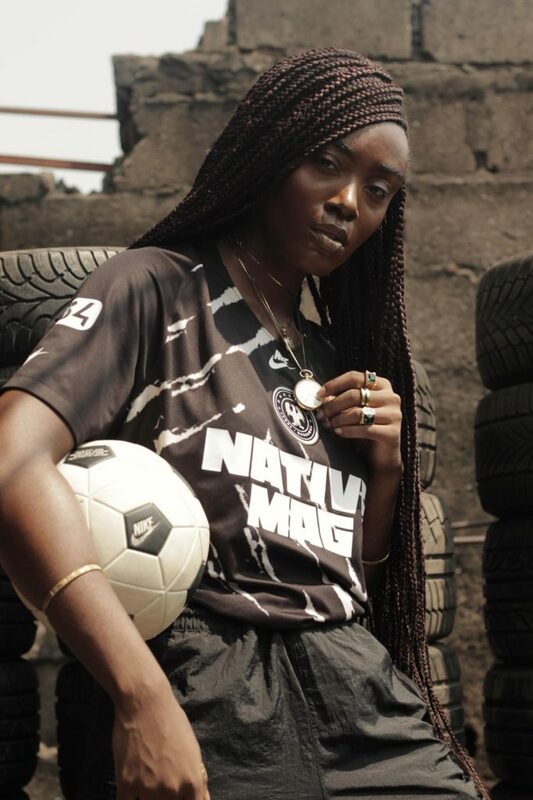 Taking inspiration from Adire (traditional Nigerian clothing) and the street football culture with the tire marks, we wanted to create a jersey that felt like home, which was why we had a pre-release last December in Lagos, our home, before the global release,” says Seni Saraki, Co-Founder, The NATIVE. The limited-edition jersey is available for purchase today.